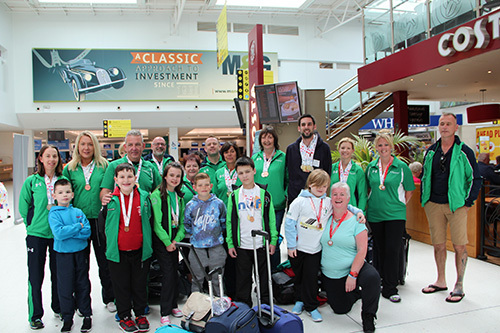 The 29 athletes representing Northern Ireland at the British Transplant Games in Liverpool at the weekend returned to Belfast City Airport this afternoon with a tally of 54 medals: 17 gold, 20 silver and 17 bronze. Karen and Jenny Keery from Bangor. 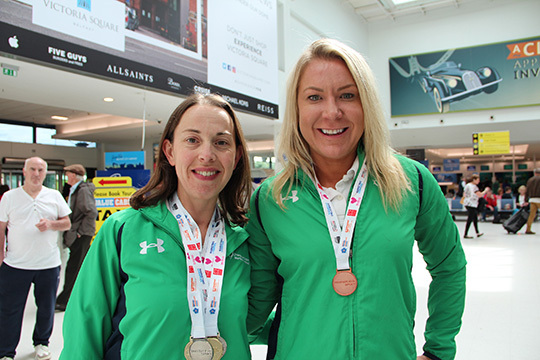 Kathryn Glover (left) from Ballygowan, won 2 gold and 3 silver for swimming and tennis, and Sharon Millar, from Warinsgtown, won bronze for long jump. The group returns to Belfast City Airport. 2. Sisters Karen (left) and Jenny Keery from Bangor. 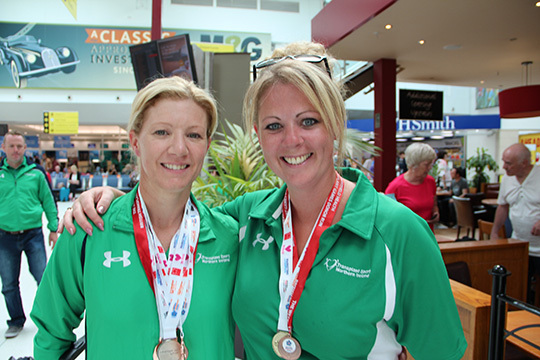 Karen won 2 silver and 2 bronze medals for swimming and long jump and Jenny, who donated a kidney to Karen, won gold in the donor swim.